Roguewood mirrors are truly beautiful and will make any room shine regardless if you're choosing one of their standing mirrors or wall mounted. Each one can bring a room to life with its stunning elegance. 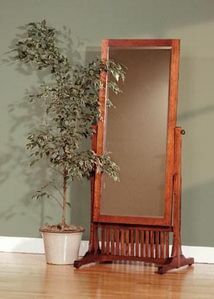 Roguewood mirrors are a perfect way to complete a room's decor with a sophisticated piece of lodge style furniture.